HEY! YOU! Yes, YOU. You're wonderful. 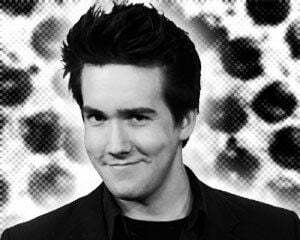 Do you know why you're wonderful? 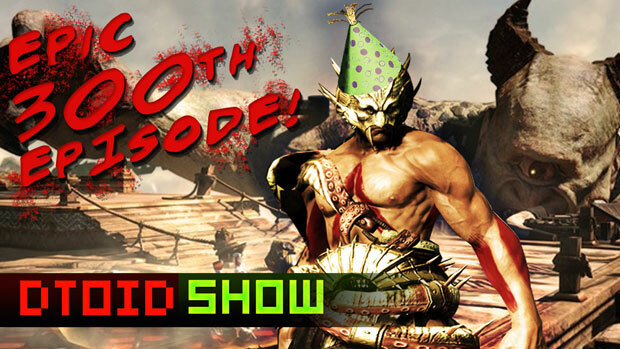 Because you (humor me) watch The Destructoid Show, and today... We've celebrated our 300th episode. Oh boy. 300. Anyway, aside from day-drinking and some Gerard Butler impressions, this is a regular episode, which of course means video game news! For starters, Metal Gear Rising begins its viral marketing, Diablo III has a TV spot that makes it look waaaaay more epic than, y'know. Clicking on stuff repeatedly. I got to see Sonic & All-Stars Racing Transformed last week and you should read Ryan's preview because he held my brownie while I played it. Our glorious robot overlord Mr. Destructoid appears in yet another game, this time as a download for Super Monday Night Combat, and last but not least, God Of War Ascension shows off its... multiplayer? All this video game news, washed away like tears... in rain. Welp, see ya on Wednesday!